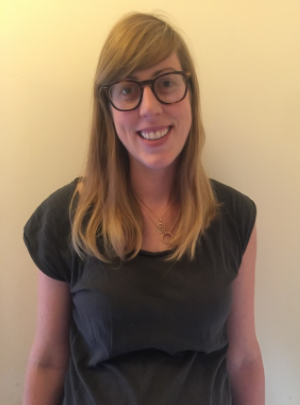 Gemma W. Batson joined the Archive-It team at the Internet Archive this year to steward our growing community of partners in Europe. Gemma now brings her experience serving the Archive’s many library, archive, and museum partners around the globe with digitization and preservation needs to the world of web archiving, so we took a moment to get to know her, her path to Archive-It, and future plans across the pond! What brought you to your new role with Archive-It? Though I’ve just joined Archive-It this year, I’ve been working at the Internet Archive for 9 years now! I previously worked (in many roles) with the digitization team, where we are digitizing some amazing content from around the world. I began as a scanner, then took on the role of managing the small digitization centers located in libraries around the globe. From there, I began managing our portable digitization equipment program. And now, I’ve made a real change and entered the word of web archiving. It’s been really interesting getting to know a whole new part of what the Internet Archive does. What are you most looking forward to in your first year at Archive-It? I’m very excited to be learning about an entirely different part of archiving. I’ve worked with partners a lot on their physical collections, and I’m realizing that it’s a totally different kettle of fish when it comes to archiving the web. Talking to people about what they need and want has been great so far, and I’m excited to meet and learn from everyone in the field. What web content are you most interested in saving for future generations? I think it’s important to save it all (I’m a product of the Internet Archive after all), but I’m really enjoying seeing how people handle archiving social media and its response to current events. It’s not something I had considered much before, but it’s such an important cultural indicator and so ephemeral–I’m really pleased to see that people are tackling that head on. It’s fascinating to see the collected social media responses to events that have happened in the recent past. Before working at Archive-It, what project are you most proud of? I’ve worked on a lot of different things at the Internet Archive, but I think the thing I have enjoyed the most is the relationships I’ve made. I really enjoy working with librarians to help where I can, and being involved in such a wide variety of important projects has been wonderful. I also helped digitize part of Charles Darwin’s library at the Natural History Museum, as part of the Biodiversity History Library, which was one of the coolest things I’ve ever done! Anything that the partners and your new colleagues might be surprised to learn about you? I’m based in London and have been here for the last 9 years (and was born in Scotland), but I grew up in Texas. I spend most of my free time (when I have it) trying to find acceptable Tex Mex food in London. I’ve yet to succeed.